A group of Flamingos is called a stand. The Chilean Flamingos are found in Chile and Argentina. Their life span in captivity can be up to 50 years. Flamingos are monogamous birds that lay only a single egg each year. If that egg is lost or damaged, they do not typically lay a replacement. 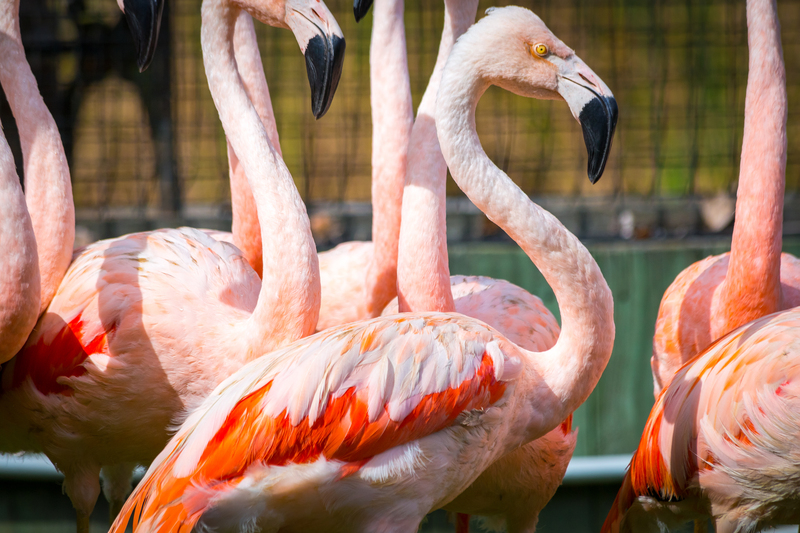 Flamingo chicks are born gray or white and take up to three years to reach their mature pink, orange or red plumage. There are six species of flamingo in the world. Chilean, Lesser, Greater, American, James’s, Andean, and the American. The backward bending “knee” of a flamingo’s leg is actually the bird’s ankle. The actual knee is very close to the body and is not visible through the bird’s plumage.